Iconic adult drinks brand Schweppes collaborated Michael Young to design and produce an exclusive line of Schweppes premium barware. 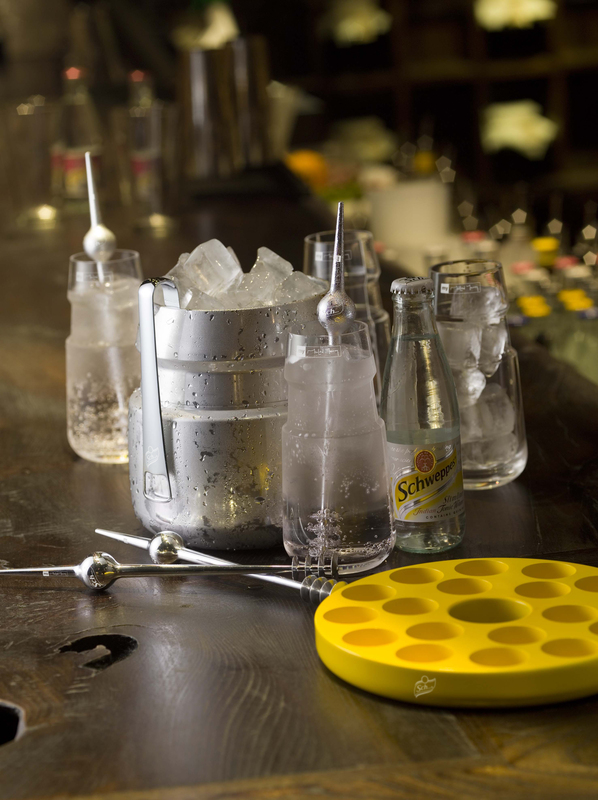 This barware collection will bring the Schweppes ‘know how’ and long standing experience in the world of mixing to life, inspiring ordinary people to learn how to make and enjoy better drinks at home. 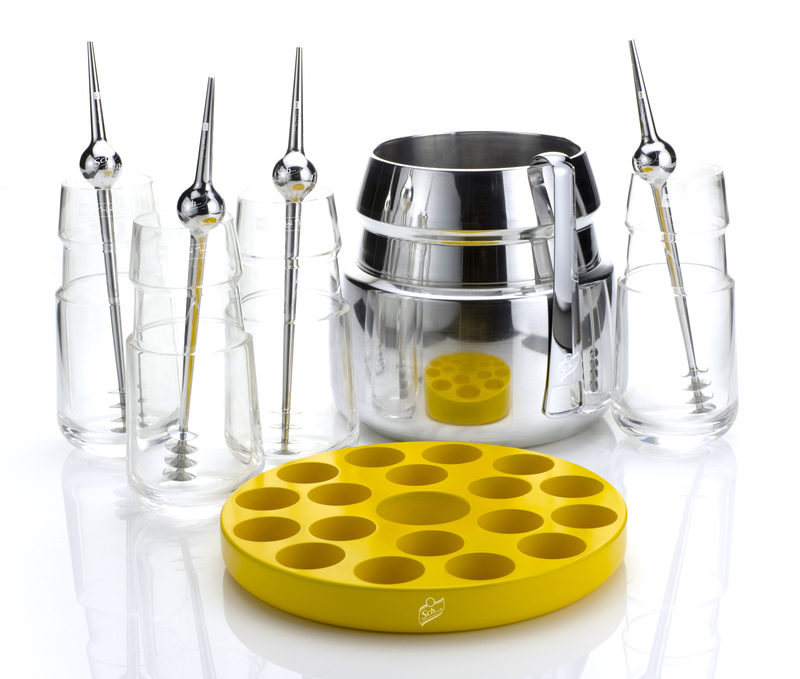 This exclusive limited edition collection incorporates beautifully designed curved glasses, ice bucket, tongs, ice tray and dual function swizzle sticks/muddlers. Consultant mixologists, Ben Reed and Tony Congiliaro have shared their industry expertise throughout the creative development process to ensure that the premium barware reflects Schweppes’ long-standing experience and ‘know how’ about the world of adult drinking. 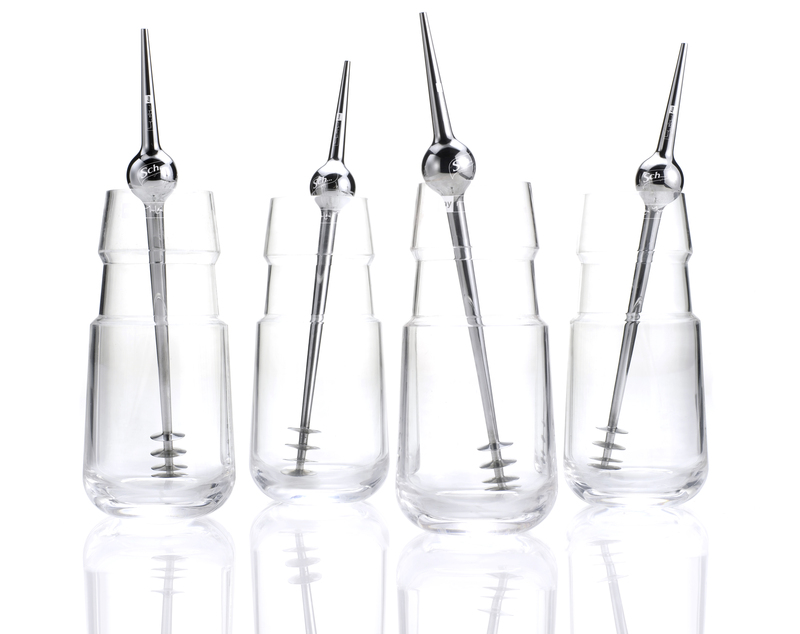 This insight and experience has resulted in a collection of stylish yet functional barware. A thicker base of a curved glass design enables the drink to stay cooler for extended periods while the brushed stainless steel ice bucket features a ‘double skin’, combined with a drainage tray to keep the ice frozen. The ice tray is designed to provide ice cubes that are a specific size and shape, again to ensure that the ice stays at its optimum for longer. The dual functional swizzle stick and muddler is perfectly designed to enable you to mix and get the most flavour from the garnish in your drink. This definitive barware collection is elegant, chic and luxurious, offering the perfect range of deluxe products for drink and design enthusiasts.